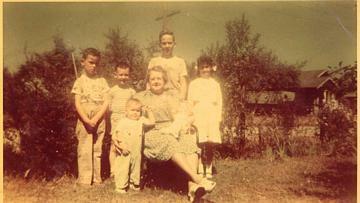 I remember, a Saturday morning when I was nine, visiting my Granma’s house. My Dad was reading the paper, and I was watching ‘The Lone Ranger’. I recall looking at my Dad for verification; he smiled, and shook his head, NO. The sudden drop in temperature has nothing to do with the nuclear crisis in Japan as many people fear, says the Meteorological Department. The abrupt change from more than 30C to 17-19C since Wednesday was caused by an intense high pressure system from China that covered Thailand, said director-general Torsak Wanitkhachorn. So, my Granma, or my Dad? ‘As many people fear’, or Director General Torsak? I mean, I’M JUST SO CONFUSED! Q: Well. who’s the cute kid in front? A: That’s my Granma’s favorite, me of course!